How Can I Beat a Weight-Loss Plateau? You’re exercising regularly, counting calories, and seeing results. You’re losing weight, the pounds are peeling off. You feel stronger and healthier. And then, for no apparent reason, everything stalls out — and no matter what you do, the number on the scale won’t budge. We’ve all been there. Hitting a weight-loss plateau is a common part of the process, but that doesn’t make it any less frustrating — and it can be hard to stay motivated if you’re not seeing any progress. When that happens, there are ways to bust through that plateau and get back to losing weight. A weight-loss plateau usually boils down to one (or a combination) of three things — your workout plan isn’t working, you’re not adhering to it closely enough, or your nutrition needs some fine-tuning. You know the basic rules for weight loss — eat more healthfully, consume fewer calories, exercise more intensely and frequently, stay hydrated, and get enough sleep. And when you’re first getting started, making those rules habits often leads to rapid results. But if you don’t change your approach to keep pace with your progress (e.g., by making your workouts more challenging, your eating plan leaner, etc. ), that progress can eventually come to a grinding halt. That’s when you hit a plateau, and if you want to break though it and lose those last few pounds, you’ll need to switch things up. When you’re trying to lose weight and you hit a plateau, you may be tempted to throw in the towel and drown your sorrows in a plate of salted caramel brownies. Instead, think of your plateau as a reminder that it’s time to recalibrate your strategy to lose weight. Cutting back on calories might seem like an easy way to break through a plateau — just create a bigger calorie deficit and you’re good to go, right? But there’s more to it than that. When you’re calculating how many calories you need, you don’t want to shortchange yourself — if your diet is too low in calories, it can mess with your stress hormones, slow your metabolism, and sabotage your weight loss. When you’re undereating on a regular basis, your body goes into fat-storage mode, which is great if you’re starving in the wilderness, but not so great when you’re trying to lose weight. There are a few ways you may be able to outsmart this pesky evolutionary response. For some people, simply increasing the number of calories you eat will do the trick. (Nope, that’s not a typo.) Others swear by calorie shifting, or zig zag dieting, where you vary your caloric intake slightly from day to day to keep your metabolism elevated. And, yes, there’s the possibility that you’re simply eating more calories than you actually need, in which case cutting back would help. If you’re not sure what your next step should be, a doctor or dietitian can help. You may think you’re being careful about calories, but if your scale seems to be stuck, you may be misjudging how much you’re really eating. In fact, one study in New England found that adults underestimated the number of calories they consumed at a fast-food restaurant by as much as 20 percent. To make sure your meals are balanced, keep accurate tabs on portion sizes: Was that a cup of milk or a glass of milk? Did you account for the peanut butter and soy sauce on your chicken satay? Has anyone in the history of the world ever stopped at two tablespoons of hummus? And don’t overlook those extra calories here and there that you munch on throughout the day, which can add up quickly. “Keep yourself honest by writing everything down — every single sip, lick, and nibble you take,” Mashru says. Calories are important, but they don’t tell the whole story. A glazed donut and an avocado have around the same number of calories, but the quality of those calories are clearly not the same. Macronutrients are the three biggest energy sources for your body — protein, fat, and carbohydrates. When you’re tallying your calories for the day, you want to make sure you’re getting enough of each. 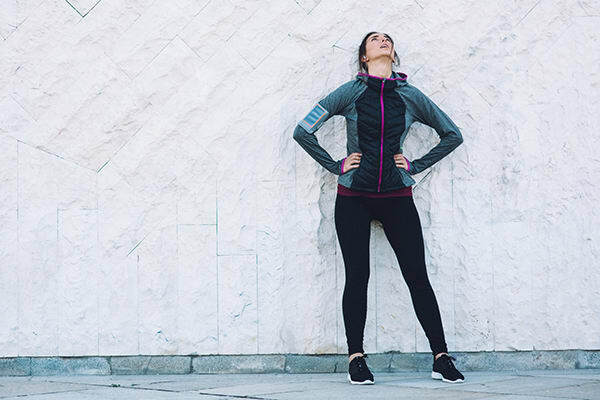 “You may have been able to get away with poor eating habits in the beginning, when your body wasn’t used to the amount of exercise you were doing,” says Jessica Sanders, a certified personal trainer and owner of Honest Body Fitness in San Diego. “But now that it is, you need to get your nutrition in order, which includes eating enough protein to spur muscle growth.” High-quality carbs such as veggies, fruit, and whole grains can also help fuel your workouts. 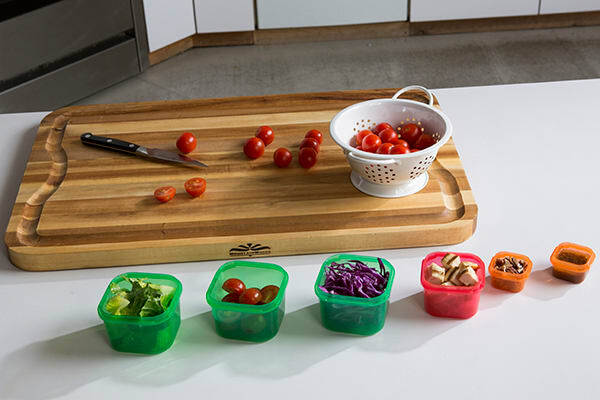 An easy way to take the guesswork out of portion control is to use Beachbody’s Portion Fix Eating Plan, which contains color-coded containers that can give you a visual idea of how many fruits, veggies, fats, protein, and carbs you should be eating every day. There’s nothing wrong with occasional cheat meals. “Part of creating healthy eating habits is learning how to moderate alcohol, dessert, and other high-calorie indulgences,” says Ashvini Mashru, RD, a registered dietitian at Wellness Nutrition Concepts, LLC in the Philadelphia area. “A decadent dessert or a glass of wine can be part of a healthy lifestyle — it’s the ‘cheat day gone wild’ that can get you into trouble,” she adds. When you give yourself carte blanche for an entire day, it’s easy to rack up a few thousand extra calories — and that can undo a week’s worth of hard work and stall your progress. So if you indulge in a cheat meal, don’t drag it out into a full-day calorie bender. Eat enough to satisfy your craving, and then hop back on the healthy-eating wagon. If you’ve been doing the same workout for a while and you’ve stopped seeing results, you might have hit an exercise plateau. Beachbody programs have the necessary variation and progression built in, so you don’t ever have to think about it. And if you follow a program like CORE DE FORCE, 22-Minute Hard Corps, or INSANITY, you’ll be doing the most effective type of exercise there is for weight loss: high-intensity interval training (HIIT). You can find all of those workouts and more on Beachbody on Demand. If your workout bores you, your motivation will wane, your exercise adherence will suffer, and you’re results will slow. If you dread your workout, your motivation will wane, your exercise adherence will suffer, and your results will slow. If your workout crushes you instead of the other way around, your motivation will wane, your exercise adherence will suffer, and your results will slow. See a pattern? Here’s the solution: Change what you’re doing. Not a fan of traditional cardio? Try a dance-inspired program like Cize or Country Heat instead. Don’t like all of the waiting around between sets in traditional weightlifting programs? Ditch the weights entirely with a hard-hitting, fast-paced, bodyweight-only strength and conditioning program like CORE DE FORCE. Whatever you do, “it needs to be fun and it needs to be something you look forward to doing,” Ingersoll says. Don’t be afraid to sweat outside of your comfort zone: Try different activities, exercise styles, and fitness programs until you discover one that makes you want to work out consistently. If you’re putting on muscle, you may see the number on the scale stop moving. If that happens, don’t panic — the scale isn’t the only way to measure your progress. Muscle weighs more than fat by volume, meaning that a pound of muscle takes up less space than a pound of fat — so even if the number on the scale isn’t budging, you might notice other non-scale victories like your jeans fitting looser and your body-fat percentage dropping. Also keep in mind that you’ll ultimately reach a point when you don’t need to lose any more weight. When that happens, you need to adjust your expectations and goals. So when the number on the scale stops moving, don’t get discouraged, and definitely don’t let it kill your motivation to lose weight. Once you pinpoint what’s causing your plateau, a few simple changes can get you back on track.